Directions: Follow the map directions and you will end up in an ample parking lot right in front of the lighthouse. Parking is free, and the area is open before sunrise and after sunset during the summer season. 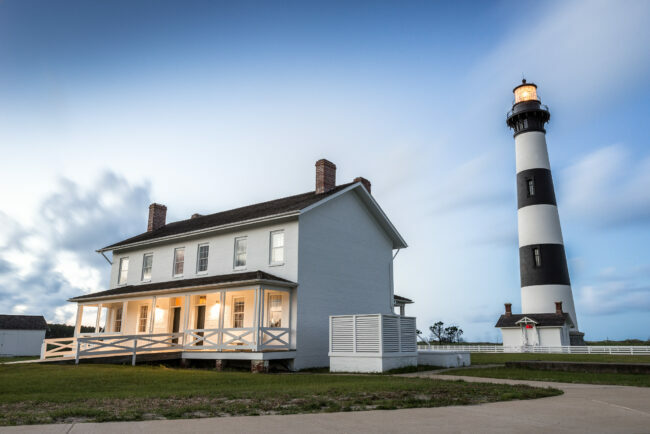 The Bodie Island Lighthouse and caretaker building provide lots of character compared to many other pillar-style lighthouses. The surrounding area is completely undeveloped so the contrast of the lighthouse with the surrounding nature make for a number of angles and compositions. The lighthouse and caretaker building face south-west, so I’d recommend showing up 1-2 hours before sunset to see how the light changes. This should give you a range of directly lighting, leading into a dramatic side-light right around sunset. The grounds are large, and there is a long boardwalk leading into the marsh, so wide and tele-photo angles – you’ll be able to find some good shots. Bring bug spray! 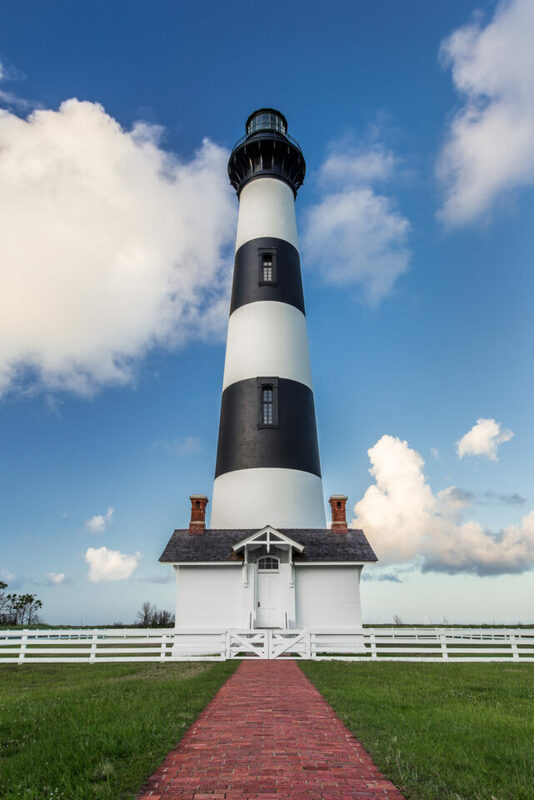 Nags Head is known for its mosquitos (big enough to sting through a t-shirt) and the lighthouse is close to the sound so don’t take this advice lightly. Spray up and you can take your time composing your shots. Nags Head is a popular summer vacation area, so visiting early or late in the season will give you a better chance of vacant shots.